Reception: September 16, 6-8 p.m.
A marriage of embellishment and utilitarian object is the inspiration behind my oeuvre: that is to create utilitarian non-traditionally shaped ceramic serving platters that maintain a curvilinear edge throughout the form and which reference historical decorative motifs. Today’s contemporary ceramics include figurative forms and abstract sculpture, utilitarian ware and architectural and decorative tile. My work is wall sculpture that is still functional; it can be used to also contain and serve food. 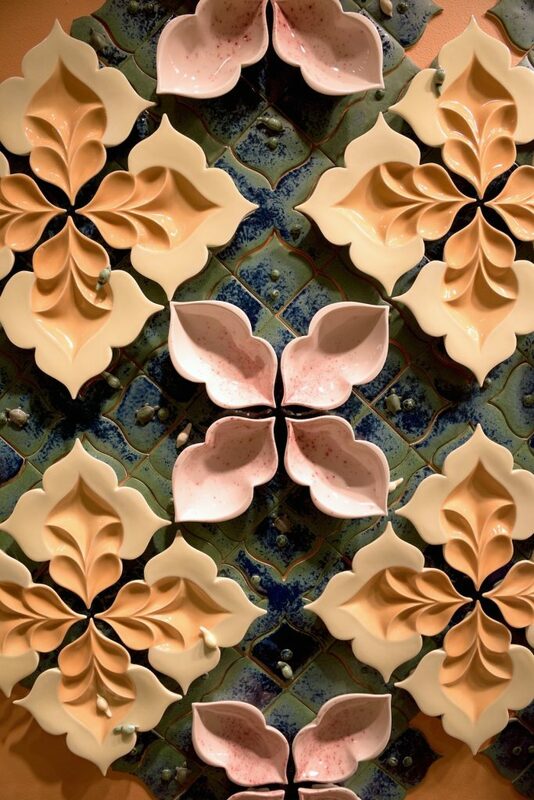 I see it as a bridge between decorative tile and utilitarian ware and as a vehicle for beginning a communication between these two disparate uses of the same material. 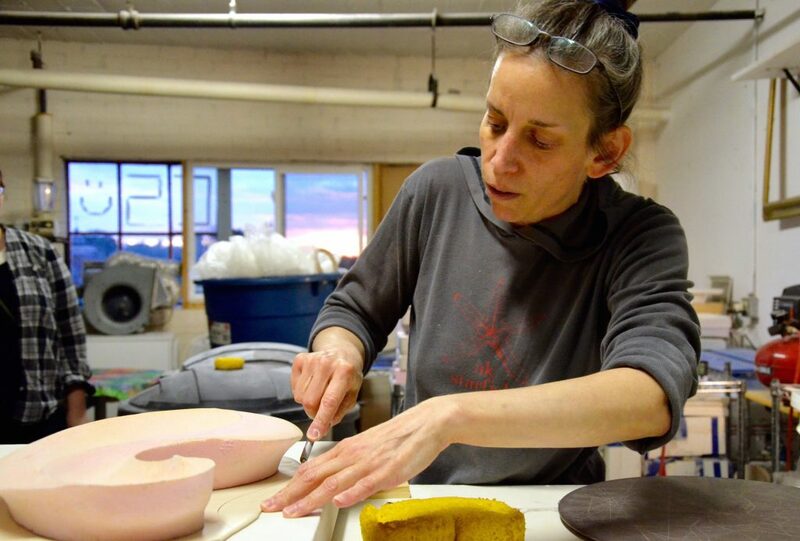 Kimberlee Joy Roth graduated from the University of Minnesota – Twin Cities with an MFA in Ceramics and an Art History minor in 2007. Her fall 2012 solo exhibition at St. Catherine University’s Catherine G. Murphy Gallery in St. Paul, MN raised $1,143 for The Algalita Marine Research Institute in Long Beach, California. 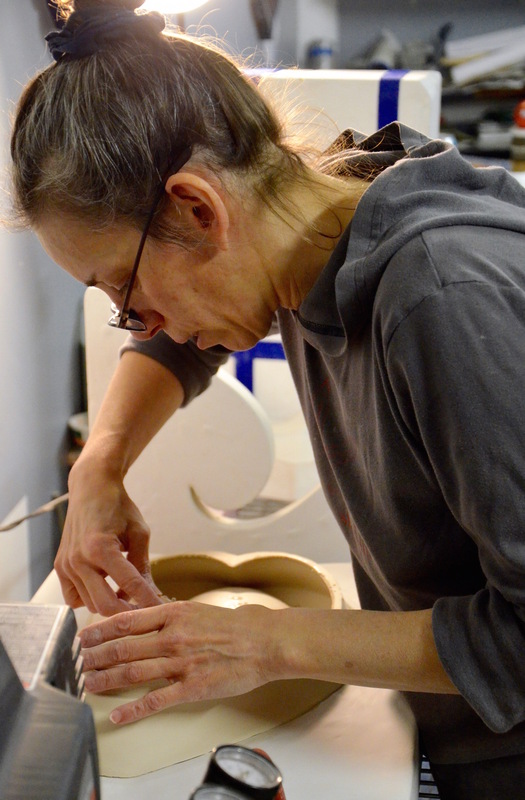 She is a 2013 McKnight Artist Fellow in Ceramics and a Fiscal Year 2016 and 2011 recipient of an Artist Initiative Grant from the Minnesota State Arts Board. 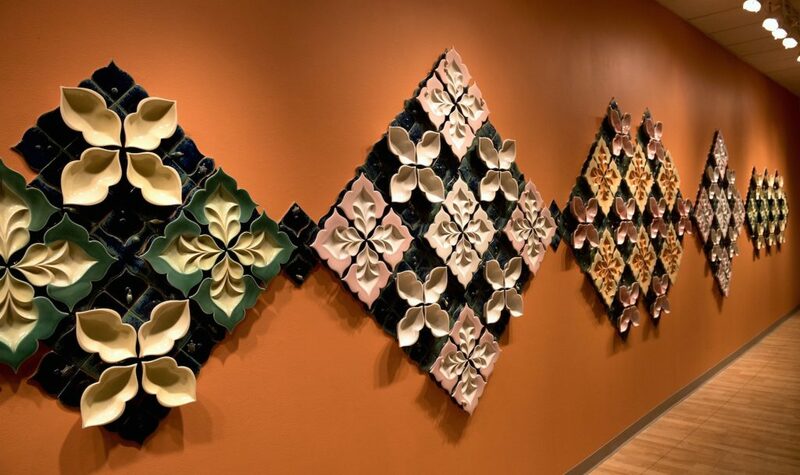 Her ceramic work is in the permanent collection of the Frederick R. Weisman Art Museum in Minneapolis, MN, Mayo Clinic Rochester, Rochester, Minnesota, 71 France Apartments, Edina, Minnesota and the Lincoln Arts and Culture Foundation in Lincoln, California. Her work has been shown nationally in juried ceramic exhibitions. 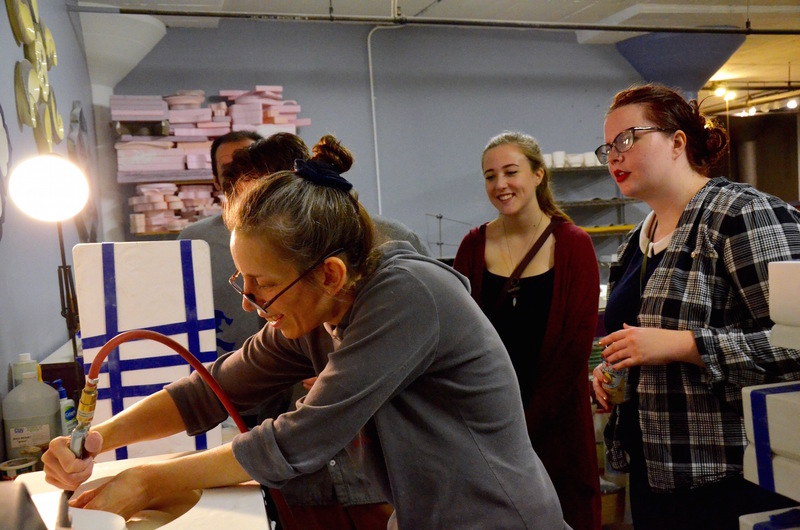 She maintains a studio in the Northeast Arts District of Minneapolis and is the Technician for the Art and Art History Department and The Catherine G. Murphy Gallery at St. Catherine University. 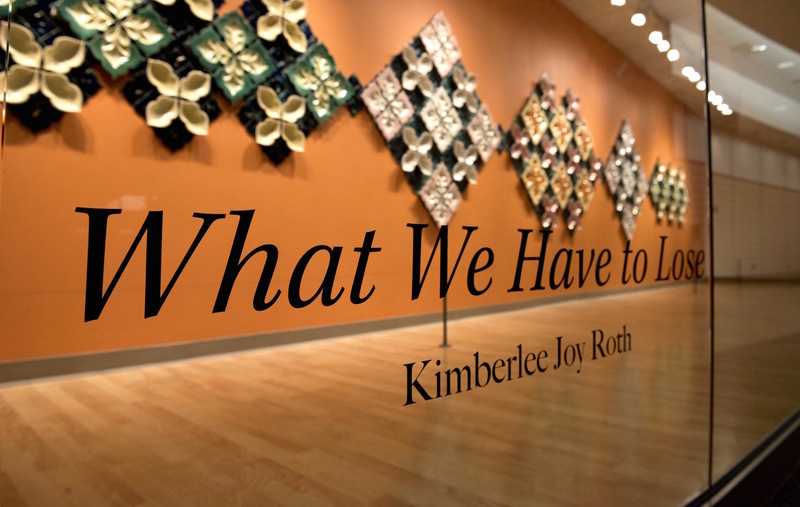 Kimberlee Joy Roth is a fiscal year 2016 recipient of an Artist Initiative grant from the Minnesota State Arts Board. This activity is made possible by the voters of Minnesota through a grant from the Minnesota State Arts Board, thanks to a legislative appropriation from the arts and cultural heritage fund. Robert Silberman is Associate Professor of Art History at the University of Minnesota, where he teaches courses on the history of cinema and other subjects. He received his Ph.D. in English Literature from Columbia University. He was senior advisor for the 1999 PBS series American Photography: A Century of Images and, with Vicki Goldberg, co-author of the companion volume. A regular contributor to the Burlington Magazine, he has curated exhibitions on art, photography, and ceramics, including six exhibitions at Northern Clay Center in Minneapolis, most recently Out of the Labyrinth: Contemporary Mexican Ceramics. 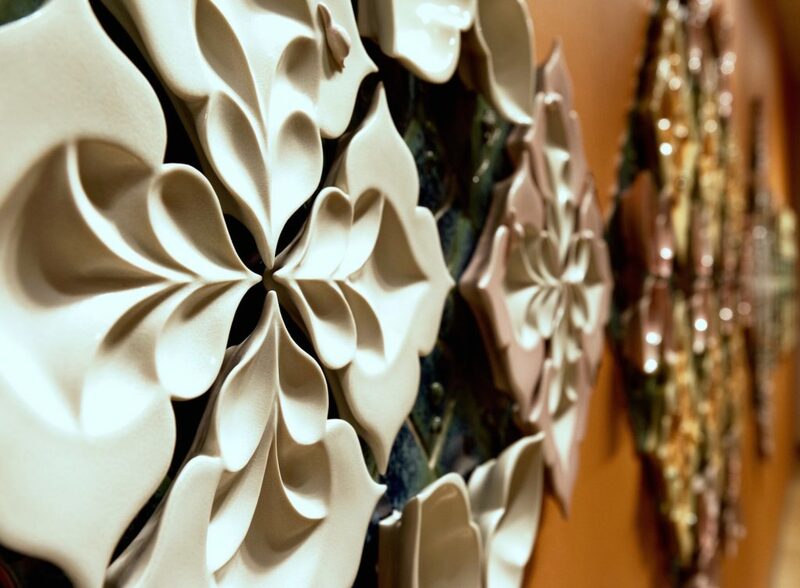 The many ceramic artists he has written about include Warren MacKenzie, Gail Kendall, Ken Price, Amy Sabrina, and Randy Johnston. Could you briefly explain your process for us? The end goal is to have work with curvilinear edges and interiors having singular, or multiple, distinct concave sections. The outside edge of the work is drawn onto paper and then transferred to either Styrofoam or clay. The interior and sides are then carved. If the piece is clay, it is fired to cone 022. 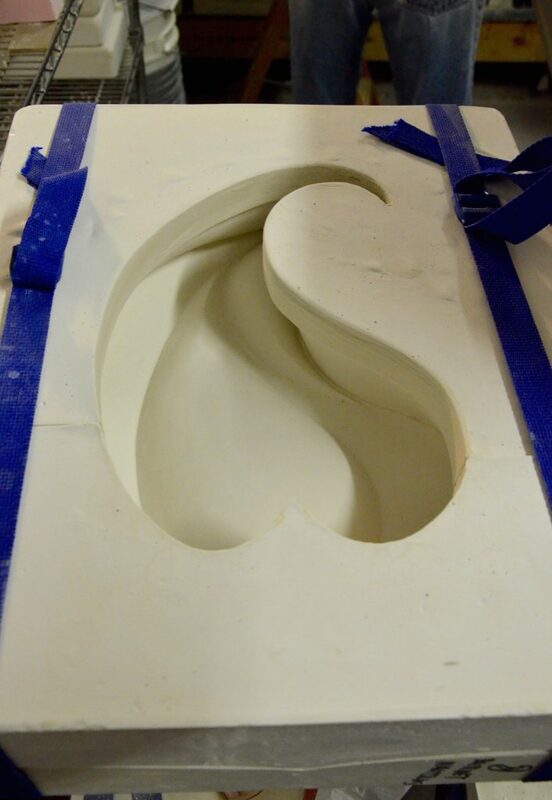 I then make a plaster multipart mold and use that to make the final slip cast porcelain forms. How do the ideas and creation process start and how do you know when you’re done? I look at a lot of artwork, keep up with current events and try to learn from what I think are successful art forms as to how their political and environmental issues are represented, distilled and communicated successfully. As an artist I’m never done; each previous installation supports the next and sparks more ideas. 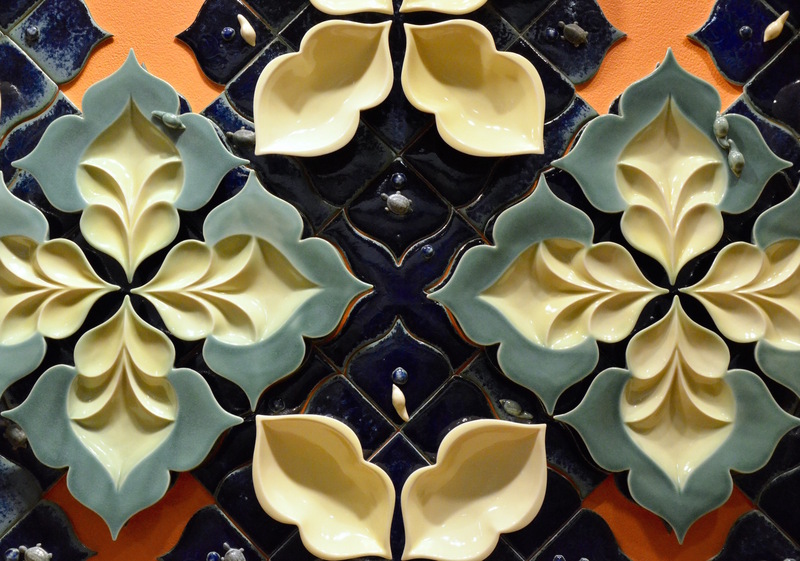 What originally inspired you to bridge the gap between utilitarian ware and wall sculpture? It evolved over a number of years. I initially wanted to move away from round forms made on the potter’s wheel and started slip casting. 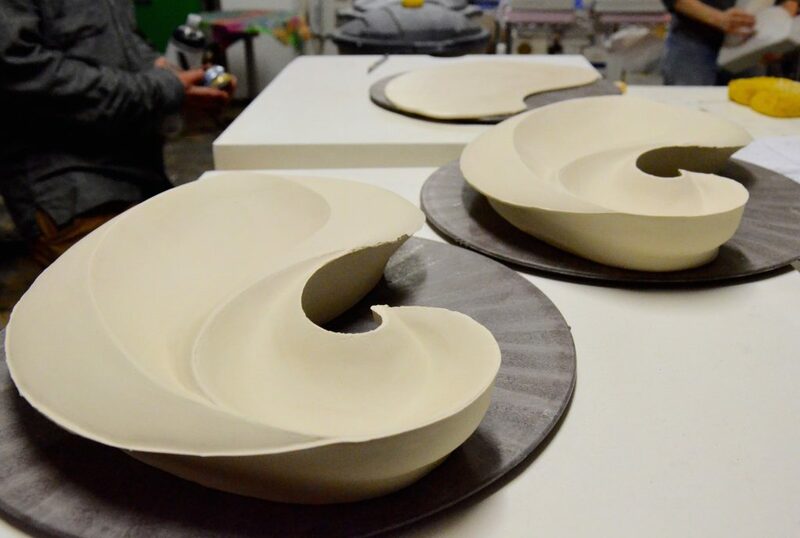 Slip casting naturally led to making a large number of the same form, and then it again came naturally to place the work into repetitive patterns. The negative spaces created between the pieces are quite lovely, so I experimented and played with making forms whose negative and positive spaces looked balanced and made an interesting composition. Who are some of your major artistic influences? I noticed that you include some glaze recipes on your website. What tips might you have for people looking to experiment with creating their own original glaze recipes but aren’t quite sure where to start? Go to the library and look at glaze books or look on-line for a glaze you like, and then make a 500 gram batch. Glaze a small cup and bowl with it. Test it in both oxidation and reduction. Then, take out the oxide colorant and see what the base glaze is like. If the base glaze seems promising, that is you like the way it feels or looks, then test the base with a variety of different oxides and percentages of oxides. 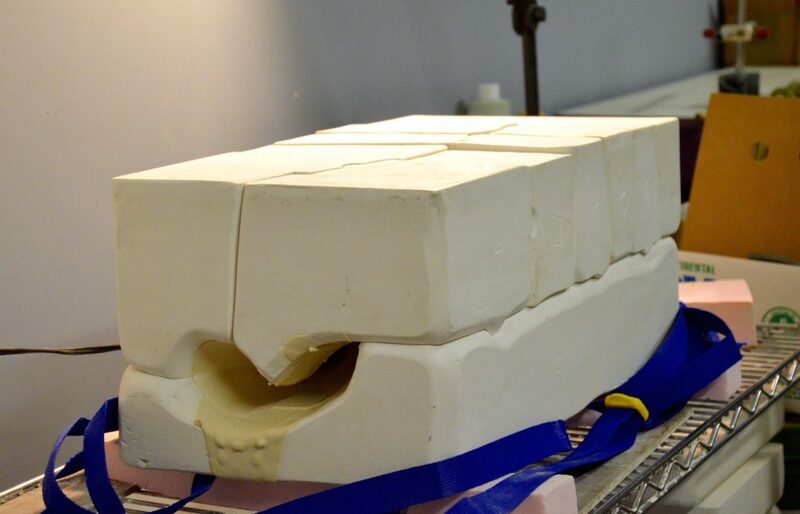 An example would be to make a 200 gram batch and add 1% of an oxide, dip in a test tile, label it, then add another 1% for a 2% test, then another 2% for a 4% test, and then another 4% for an 8% test and see what the glaze looks like on these 4 test tiles. I’ve made hundreds of glaze tests, but the best glazes I have are from trying new oxide blends in tried and true base glazes. 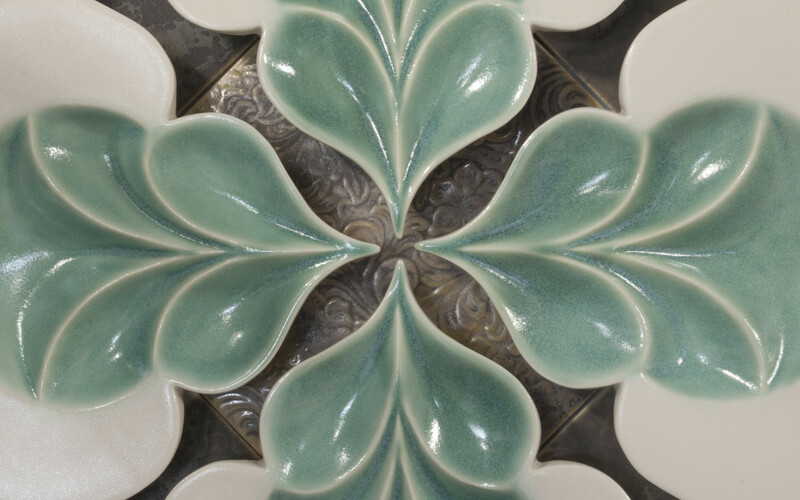 What is your favorite part of the ceramic process? Designing the forms and laying out the finished work into a pattern. Could you tell us a bit about your educational experiences? What led you to originally pursue a science degree and then later pursue an art degree? Everyone has choices to make throughout their life; each choice leads to a different path. I made a choice during high school to pursue a Math and Physics degree because it came easy to me and it was safe. I knew I would be able to get a teaching job after college and be secure and self-reliant as a single woman in the 1990s. But teaching high school became redundant and I needed to challenge myself. At first I was planning to get my PhD in Physics, but a few key choices and a hard look at what made me content and happy led me back to school for art. I always had the peace of mind that if things did not work out I had my Physics and Math degree to fall back on. I know I made the right choice because of how happy and challenged I am when I am in my studio. How does your math and science background come into play with your artwork? My science and math training taught me perseverance to solve problems. I am used to getting things wrong the first few times and working through ideas to find a reasonable solution. 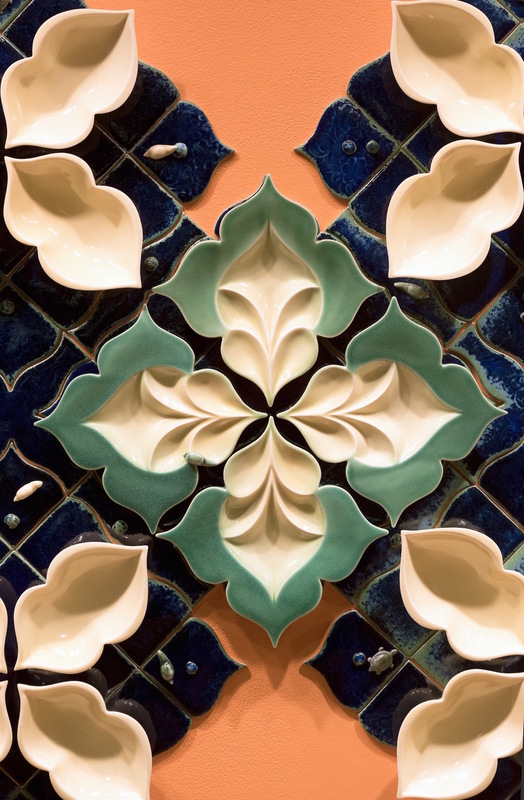 I think to myself – we humans have created a variety of complex and amazing inventions, I can figure out how to solve this or that problem within my ceramics – it’s not as if I’m making a rocket to go to the moon or an integrated circuit from square one. Along with this tenacious attitude, my science background has taught me confidence and experimental skills, both of which I use while pushing the boundaries of the ceramics medium to its physical limitations and in glaze calculation. 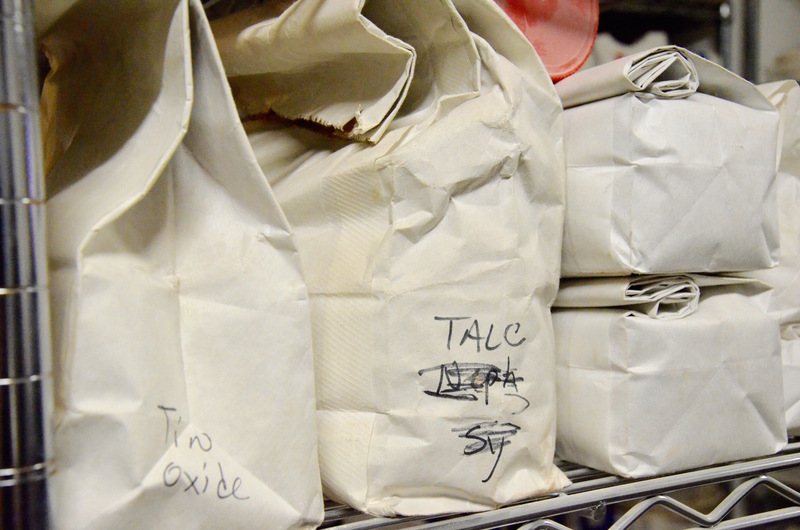 I consider my ceramics studio a chemistry and engineering lab. What else can you tell us about your exhibition What We Have To Lose that we might not get from your artist statement or simply by viewing the work? What tips do you have for artists trying to minimize their environmental impact while still being able to effectively create work and get a message across? Try not to use plastic, synthetic fabric or other materials refined from crude oil. Then use whatever is the best material to get your ideas across. I am developing new forms and glaze colors, and working simultaneously with another slip body. 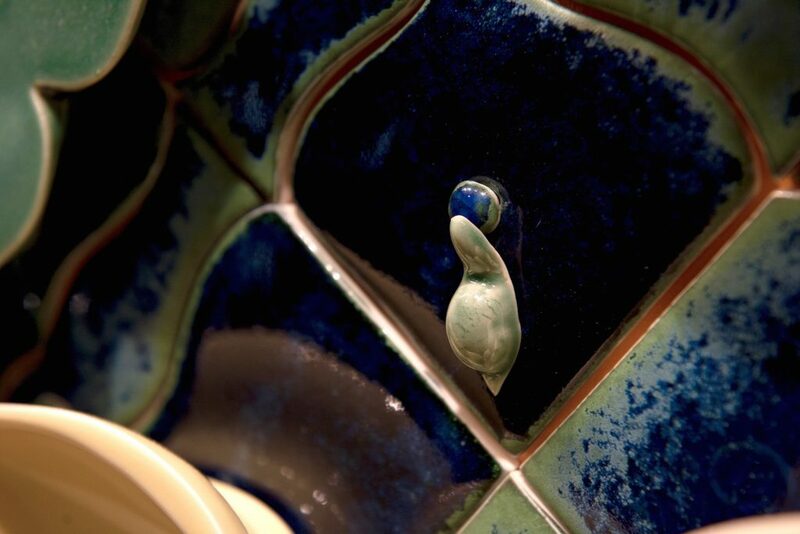 I also have ideas for other tile forms with incised imagery. I work best if I follow ideas down varying and multiple paths, keep experimenting and allow every kiln to be a sort of test.